Students in the Arts Technology program visit mobile app design and development company, Codal. In March, a group of students from the Arts Technology Program (ATK) had the opportunity to tour rapidly emerging tech companies during their annual trip to Chicago. One of the companies that the group visited was Codal, a mobile app development agency. During the visit to Codal, students attended presentations on UX (User Experience) design and app and web development. 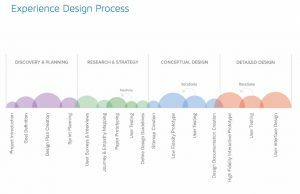 UX process utilized by the Codal user experience team. Designer Emily Seifert guided the students through the agile UX process utilized by the user experience team. 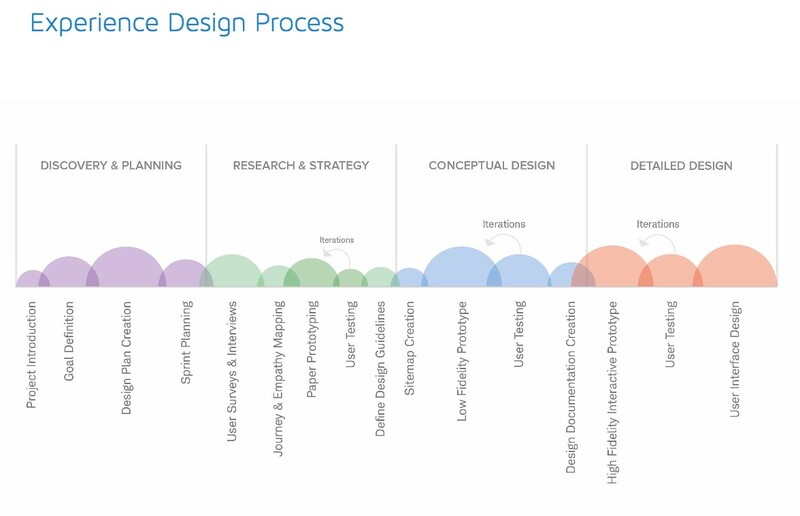 Throughout the presentation, the importance of research was emphasized as a critical factor in the design process. Because the UX of a website or mobile app is so heavily based on usability, conducting substantial research and user testing is undeniably necessary. Another key idea reiterated throughout the presentation was the factor of the client in each project. Since companies like Codal have a wide variety of clientele, each with their own budgets, every design process must be customized to fit the requirements of each individually. Lead developer Anil Shahu spoke to the students about the development side of the company. Shahu demonstrated how developers utilize frameworks, libraries, and packages to not only increase productivity, but to ensure the creation of a stable product. In other words, developers shouldn’t try to reinvent the wheel for every project when pre-existing frameworks or packages exist as developmental starting points. Another crucial aspect of the presentation included the use of platforms as a service. It is important for developers to avoid wasting time on the deployment and management of infrastructure, when these services are easy to use, cost-effective, scalable, and more reliable. Some of the services recommended were AWS EC2, AWS RD2, and AWS S3. It is no longer enough to just have the technical skills to design and develop a website or mobile app — these skills must be complemented by the ability to provide a seamless experience for the end-user. Because UX encompasses a wide variety of skills, including design, psychology, analytics, data collection, prototyping, and user testing, being exposed to these skillsets early in a student’s software education is essential to becoming a well-rounded designer and developer. Graduates from the Arts Technology Program at 2017 commencement. As new, innovative tech industries, such as virtual reality, come to the forefront of emerging trends, the UX process will adapt and grow with the rapidly changing times. In an ever-changing industry like technology, learning does not ever truly stop. It is critical for university programs to be constantly aware of the latest tech trends, and to offer courses that revolve around adopting and improving new applications and processes relevant to the industry. Acknowledging the importance of UX in these industries, ISU’s Arts Technology Program is offering their first-ever UX course for their students this coming fall. Taking knowledge learned inside the classroom and seeing how those practices and skills are applied in day-to-day business is critical for students to gain a deeper understanding of the tech industry. Seeing how innovative companies operate in real-time provides valuable insight, something that is hard for a student to obtain within the exclusive confines of a classroom. 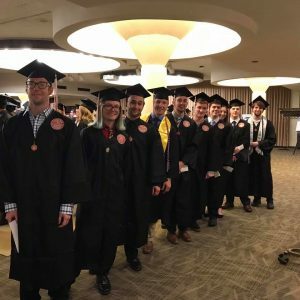 Whether it is offering a variety of courses, visiting revolutionary tech companies, or simply encouraging students to read up on tech blogs, the faculty in the Arts Technology Program work hard to ensure their students are prepared to take on their technology career in full stride when they receive their diploma. 1. Which of their team members will be working on your project and what are their qualifications? 2. How much time will they be spending on your project? 3. Do they provide a flat project price that corresponds to a detailed agreement? 4. Does the cost of the project match up with the agreed upon deliverables and hourly rates?